Ireland international Ross Byrne has been forced to pull out of Leinster’s team for tonight’s clash with Edinburgh at BT Murrayfield. 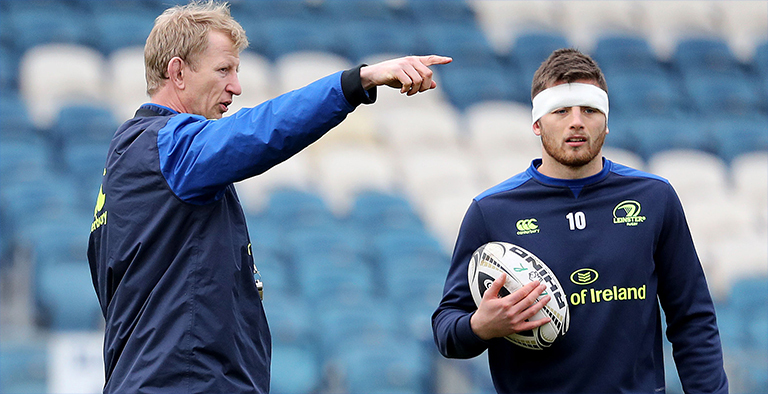 Byrne travelled to Scotland with the rest of the squad, but reported a minor foot issue during today’s captain’s run and was pulled from the matchday squad as a precautionary measure. Ciaran Frawley, who was initially set to start at fullback, will take over the number 10 shirt with Jimmy O’Brien promoted from the replacements bench to take his place at fifteen. Centre Gavin Mullin has been brought into the matchday 23.